Sweet, stringless flesh. Good for cooking. 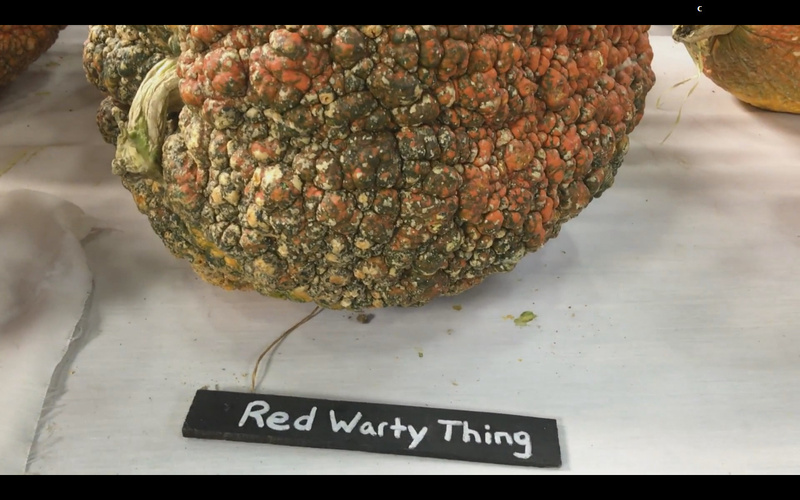 The Red Warty is crossbreed with a Red Hubbard squash and is more squash than pumpkin. 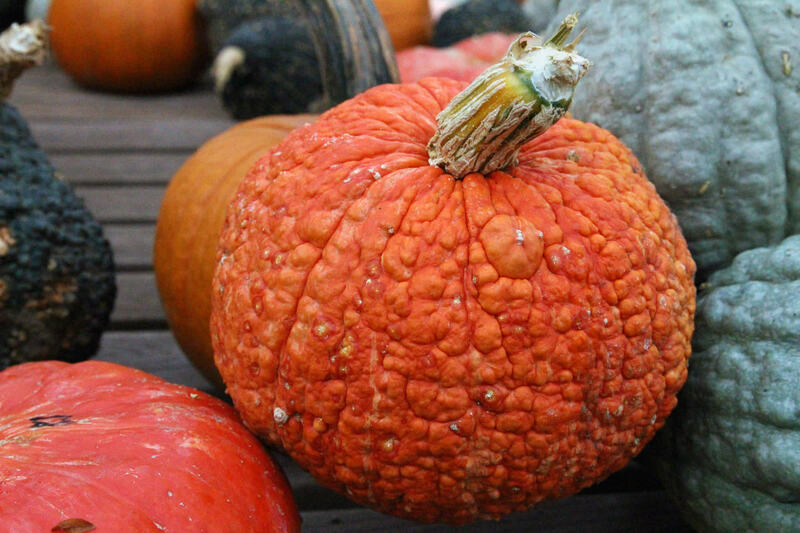 This gorgeous red squash has vibrant red skin with a lumpy texture covering the exterior. 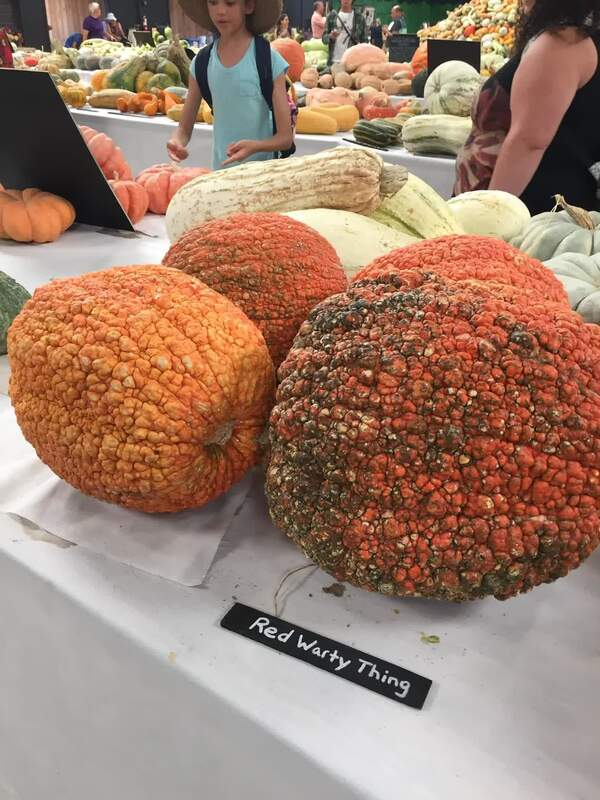 When displayed with the smooth Lumina or a group of deeply ribbed orange pumpkins, the texture of the Red Warty gives an added and unexpected dimension to the grouping. 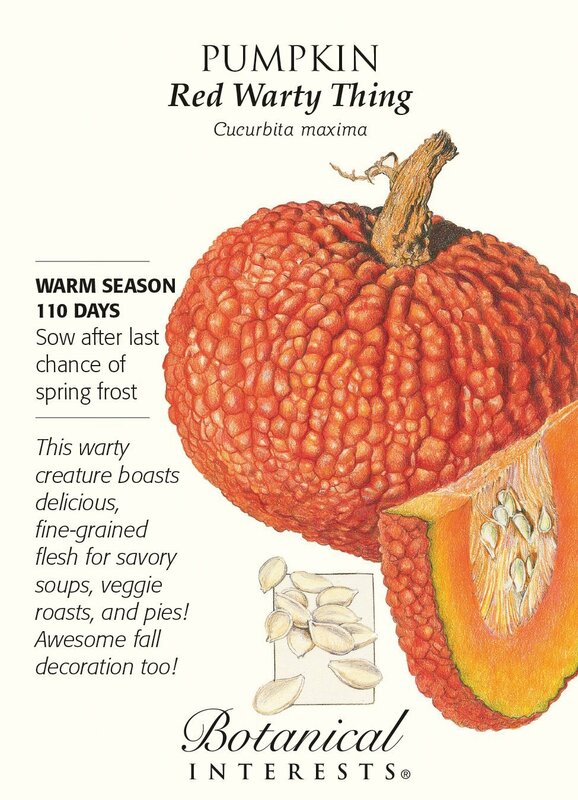 This is a fairly new variety and it's name truly fits. 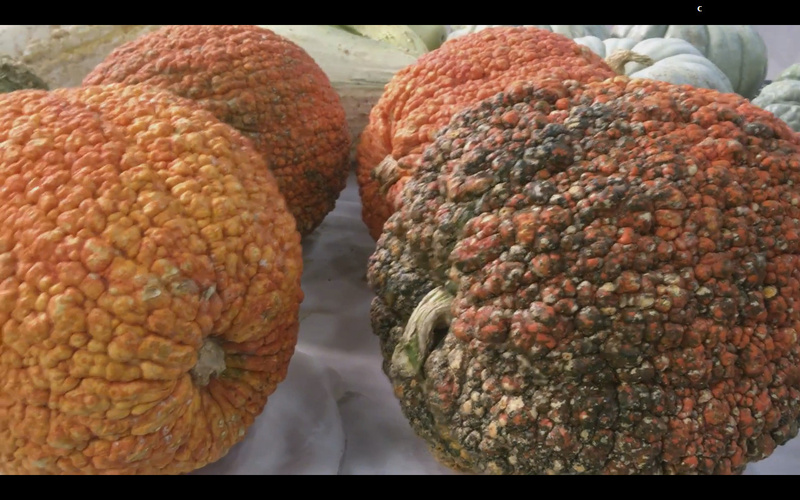 It has a hard warty skin that is bright red in color. It has a good quality flesh too. It stores extremely well. 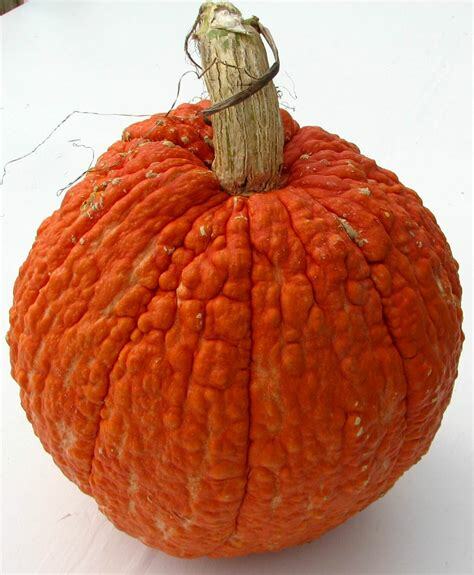 You should use caution when cutting into it. Recently renamed, it was originally introduced as 'Victor' by James H. Gregory in MA in 1897.